"So you've seen all of our patterns and shapes. 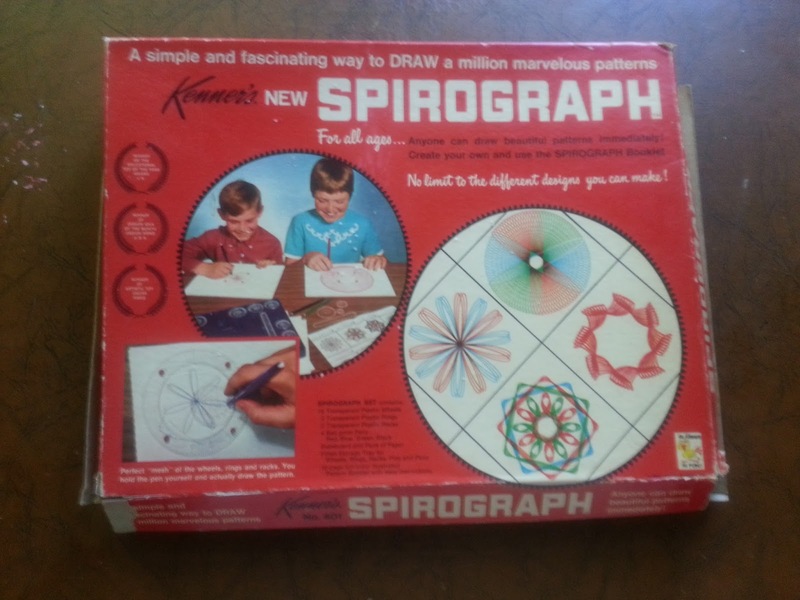 We used Kenner's Spirograph. It was simple, neat, easy and slow! And I know what you're thinking--you want one! Some may trick your eyes. Some may look pop-out. But there are millions and trillions of patterns you can make. "Until next time, readers ..."
She's absolutely right about some looking "pop-out." Check out the one on the bottom--totally "pop-out." 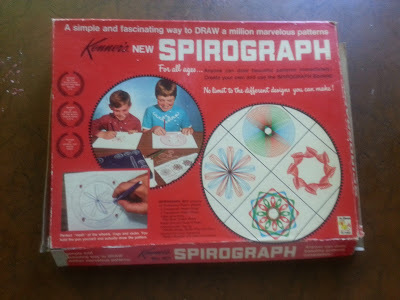 Also, Wikipedia has a fantastic animation of Spirograph.